The world's greatest innovators use Nexus tools to automate their software supply chains. "Nexus Lifecycle tells developers exactly what they need to know about the components inside their applications. For organizations working in Java, Node.js and .NET, these are valuable tools." Whether you know it or not, every business is a software business. Indeed, software has shifted from being a driver of marginal efficiency to an enabler of innovation for competing and winning on a global playing field. 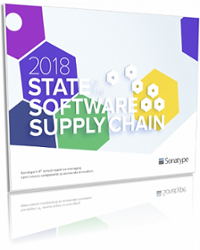 Simply stated, survival is a function of how quickly organizations can build and release high quality software at scale. Open source components underpin 90% of every modern application. That's why top performing technology companies rely on Nexus products to automate their software supply chains and ensure they use the highest quality parts at every step of the development lifecycle.